The Magnificent Ambersons has been called one of the greatest novels of the 20th Century. Perhaps best known for the Orson Welles film of the same name, it is both a gripping narrative and a skilful dissection of social changes viewed through the eyes of a grand family. 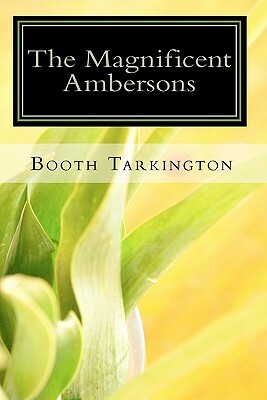 Booth Tarkington was born in Indianapolis, Indiana in 1869. He was from a well-to-do family and attended Princeton. His first novel was published in 1899 and he produced a stream of novels and plays until his death in 1946. He won the Pulitzer Prize in 1919 and again in 1922. He was named America's Greatest Living Writer by the Literary Digest in 1922 and was the only writer in The New York Times' "10 Greatest Contemporary Americans. He died in Indianapolis in 1946.